Aircel is one of the most efficient 3G network providers in India. It is one of the fastest and reliable services in internet. And what more? It simply fits your bill. They give the most efficient network coverage so that your business meetings go uninterrupted. The network providers also help you share live interaction with your families and friends. You can watch online videos in your leisure time without buffering. The 3G techniques in it are simply enough to get the best quality video. There is no need of any further internet setup. Because of the get the best, the videos are never slow. You can access to an overview of your course in the mobile screen provided by 3G and help yourself with last minute preparations before exams. Be ahead in competition with Aircel 3G. Simply download and watch your favorite TV shows on your mobile at your own convenient time. You no longer have to wait for repeats on the television. You can easily view the person you are talking to you on the phone with Aircel 3G. Invite your friends for uninterrupted video chat. Aircel stocks innumerable games in its store for you. Play and enjoy them whenever and wherever you find convenient. If you are in an unknown place, your 3G enabled cell phones will help you reach your destination. Locate yourself and your friends wherever they are. 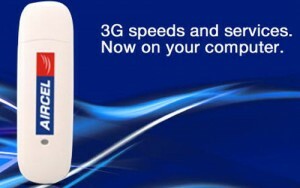 Aircel 3G is 3-5 times faster than your current service. Though the speed on 3G services vary as per the number of users at the specific point of time, you still get broadband experience on your mobile phone. Do you need a New 3G SIM? No, you do not need one. You can avail to 3G services on your existing SIM if it is commercially available in your city. A 3G handset and subscription for 3G services to use mobile broadband on your handset are the basic requirements. However, if you want to connect your laptop or PDA (personal digital assistant) to 3G networks, simply connect your 3G handset to the computer through data cable, infrared or Bluetooth. 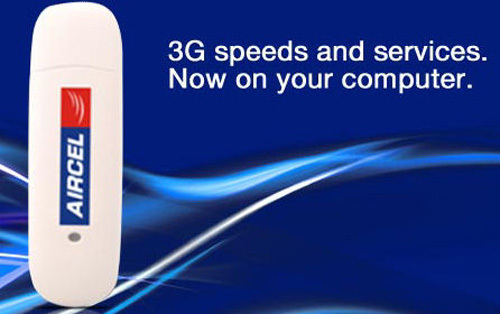 You may also use a 3G data card with your computer to access high speed Aircel 3G network. The settings are automatically configured on your iPhone as soon as you insert your nano sim on your iphone 5. But, if you want to add the 3G and GPRS settings manually you may do so from Settings > General > Cellular. Type ‘START 3G’ and send it to ‘121’ to start 3G in your cell phone. Do not fill anything else. Rest all settings as default.